Saw this and thought I would bung a quick Blog on here for you. Exclusive: Jesse James Is Relaunching West Coast Choppers. Published by Cyril Huze February 10th, 2013 in Builders, Customs, Editorial and Events. Yesterday, I had a conversation with Jesse. For you my readers, he gave me the exclusivity of a huge announcement for the custom motorcycle scene. He is relaunching West Coast Choppers. 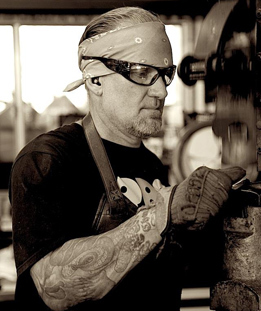 It is almost 4 years that the brand was silent, but the brand equity or goodwill that Jesse owns with West Coast Choppers never faded, quite the opposite. 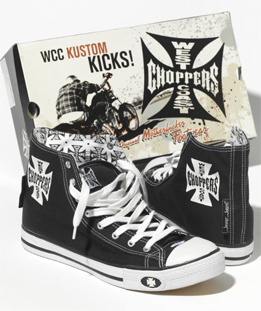 The more difficult it was to order a custom from him, buy one of his parts, or a piece of his logo gear and clothing, the bigger the WCC brand grew, both here in the US and abroad. A name and a brand encompassing through logo, image and perception the best of what is the Chopper Kulture. This entry was posted in Blog and tagged cb750, chopper, custom, vintage motorcycle.